College Football Bowl Predictions Archives - NSAwins.com – Expert Sports Picks from USA's #1 Sports Handicapping Service! Tag Archive | "College Football Bowl Predictions"
2015-2016 Free College Football Bowl Picks & Predictions – 3 Expert Picks Against the Spread: The 2015-2016 College Football Bowl season has finally arrived and there are plenty of bowl games with betting lines that sharps and expert handicappers like ours at NSAwins.com are ready to pounce on and take advantage of. The College Football Bowl season is always a great opportunity for savvy bettors that are privy to key information to make a boat load of extra money on bad lines and this year should be no different. 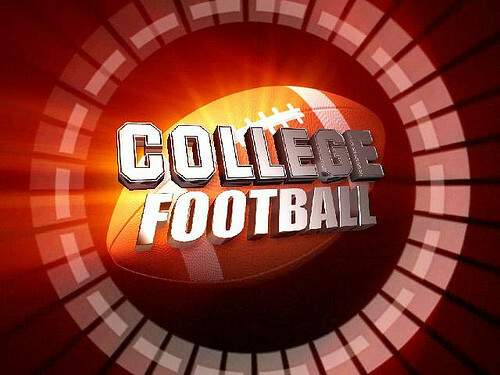 Check out our expert college football picks against the spread for this upcoming bowl season plus don’t forget to check out the daily updated college football bowl odds for all the bowl games on our website NSAwins.com. December 26th, 2015(Grass of Cotton Bowl): Washington -8.5 over Southern Mississippi – The Washington Huskies look to finish the season over .500 when they take the field with a 6-6 overall record in the Grass of Cotton Bowl against the 9-4 Southern Miss Golden Eagles. Washington is favored by -8.5 points and frankly that line is off by at least 3 points. The Huskies are the much more talented team and their defense should be the difference in this game. Washington has the 12th overall scoring defense in the nation and played against much better competition in the PAC 12 than the Southern Miss 12th ranked scoring offense faced in Conference USA. Southern Miss was handled by double figures against the top 3 teams they faced(Miss St, Nebraska, Western Kentucky) and they should get man handled in this game as well. lay the points and bet on Washington -8.5 to cover with ease. December 31st, 2015(Chick-Fil-A Peach Bowl): Florida State -7 over Houston – The Florida State Seminoles enter this game 10-2 overall and are listed as a -7 point favorite against the 12-1 Houston Cougars. This is yet another example of a betting line that is off by at leats three points in our eyes as the talent level on the Seminoles roster is vastly superior to Houston. Houston has had a great season but the best team they beat all season was a solid Navy team 52-31 at home. The rest of their 12 wins came against solid teams but nobody that’s currently ranked in the Top 25. Meanwhile, the Seminoles haven’t exactly beaten anyone great either but did show their talent level when they went on the road to Clemson and gave the Tigers all they could handle before losing 23-13. We simply don’t see how Houston can compete physically and talent-wise with a Florida State team in this bowl game for 60 minutes. Floris State should roll……..lay the -7 points. January 1st, 2016(Buffalo Wild Wings Citrus Bowl): Florida +4.5 over Michigan The Michigan Wolverines come into this Citrus Bowl matchup with a 9-3 overall record and listed as a -4.5 point favorite against the 10-3 Florida Gators. This game is being played in Florida’s home state and they should be represented very well while Michigan always travels well and will be represented well too making this a true neutral field atmosphere. We like the Gators in this matchup getting +4.5 points as we see this game being very competitive and low scoring with both teams’ defenses being the best units on the field. Points should be at a premium and we’re having a hard time believing Michigan has the talent and fire power to run away and hide from the Gators. Both teams are coming off disappointing losses to end their regular seasons and will be plenty motivated to end their season on a high note. Take the points with Florida as they easily can win this game outright but should keep it close enough to cover the spread even if they lose. Get more 2015-2016 College Football betting odds for the 2015-2016 bowl season updated daily on NSAwins.com including updated odds to win the 2016 National Championship. 2 EASY STEPS to BET on the 2015-2016 College Football Odds! STEP 2: Deposit with Credit Card or Deposit by Check and get a 100% BONUS instantly FREE. 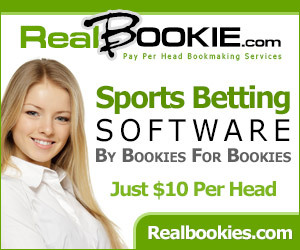 Free College Football Bowl Picks and Spreads: #2 Alabama vs #1 LSU 2012 BCS National Championship Game Vegas Odds, Free Picks, and Expert Predictions on ESPN 1/9/12: Heading into Monday’s BCS Championship Game, only one thing is certain – the SEC will win its sixth consecutive national title. Other than that, the rematch between the top-ranked LSU Tigers (13-0) and second-ranked Alabama Crimson Tide (11-1) is open for debate. Both teams have demolished opponents with fierce, suffocating defenses and power running games, going unchallenged for most of the season. The lone exception was a November 5 meeting between the two schools, which resulted in a 9-6 overtime victory for the Tigers in Tuscaloosa. The first meeting ultimately decided the SEC title, but there is a much bigger prize at stake in the rematch. After such a close game the first time around, it is no surprise that LSU is only a one-point favorite Monday. Dominating may be an understatement for these two defenses. The Crimson Tide ranks first in the country in yards allowed (191.3) and points allowed (8.8), while the Tigers rank second in both categories, giving up just 252.2 yards per game and only 10.5 points. Against the run, both defenses rank in the top three in yards allowed and in the top four in yards per carry. More importantly, they rank first and second in rushing touchdowns allowed, with Alabama giving up just three scores on the ground all season and LSU giving up only six. Against the pass, both units rank in the top five in opponent completion percentage. Pick a defensive category, and these two defenses are probably among the best in the nation. Dissecting each defense a bit more closely, the Crimson Tide appears to have an edge up front against the run. Linebackers Courtney Upshaw and Dont’a Robinson lead a front seven with as much sideline-to-sideline speed as any group in recent history. The Tigers counter with the deepest defensive front in the country that puts plenty of pressure on opposing quarterbacks thanks to defensive ends Sam Montgomery and Barkevious Wingo. Both secondaries are loaded with talent and experience, but with the playmaking ability of first-team All-American cornerbacks Tyrann Mathieu and Morris Claiborne, LSU’s group has the edge. Despite what the 9-6 final of the first meeting mat suggest, Alabama and LSU bring potent offenses to the fight as well. Both teams ranked in the top 20 in scoring and rushing yards per game. The Tigers have the slight edge on the scoreboard, averaging 38.5 per game compared t o 36.0 for the Crimson Tide. However, Alabama’s rushing attack was the slightly better of the two. Neither side relies much on the pass. Alabama QB A.J. McCarron and LSU QBs Jarrett Lee and Jordan Jefferson have simply been asked to manage games most of the year. To their credit, all three players have kept the turnovers to a minimum while completing more than 60 percent of their throws. With power running games fueling both offenses, there will be plenty of pressure on each backfield to perform at a high level. The Tigers have gone with a running back by committee approach, with Michael Ford and Spencer Ware leading the way. Meanwhile, the Crimson Tide has relied mainly on workhorse Trent Richardson and has mixed in Eddie Lacy as a change of pace option. Richardson is the player to watch. The Heisman finalist scored 20 touchdowns and ran for nearly 1,600 yards. He also had more than 160 yards of offense in the first meeting with LSU. Richardson will best back on the field Monday, and after having a good measure of success against the Tigers’ vaunted defense early in the year, he could help Alabama reverse November’s result. While Richardson is the likely difference maker on offense for the Crimson Tide, Jefferson could play the same role for the Tigers. He essentially took over as full time starter midway through the first meeting with Alabama. Jefferson isn’t the most polished QB in the pocket, but his ability to make plays with his legs creates an added wrinkle that the Crimson Tide defense must account for. He also has a strong arm, and with wide receiver Rueben Randle a capable deep threat, Jefferson could loosen up the Alabama defense with a couple of big plays. The X-factor in the game could be special teams. After all, four missed field goals by Alabama kickers Jeremy Shelley and Cade Foster ultimately cost the Crimson Tide a victory in November. Touchdowns will likely be tough to come by again Monday, and the psyche of Shelley and Foster is questionable at best heading into a game when there will be even more pressure. Meanwhile, the Tigers have the ultimate special team’s weapon in Mathieu. Plain and simple, he is a playmaker. LSU leads the country in punt return yards, and Mathieu is a big reason why. He returned punts for touchdowns against Arkansas and Georgia, changing the momentum of both games in favor of the Tigers. A big kick return Monday night could tip the scale in favor of LSU. There is likely to be a very different atmosphere surrounding this game compared to the regular season meeting. In the first matchup, both teams were playing not to lose. Deep down, Les Miles and Nick Saban knew that there was a good chance that the two programs could meet again as long as neither side was blown out. The play calling was conservative and the quarterbacks were tight most of the game. This time around, neither coach is going to hold anything back. Win or lose, the national title game is the finale for both teams. There should be a few more big plays on offense and defense from both sides, and the score should easily exceed the 9-6 final from the November clash. There will be a ridiculous amount of talent on the field Monday, and a hard-hitting contest worthy of the BCS Championship Game should be on tap. In the end, it’s hard to imagine Monday’s game being anything but a down to the wire affair. Richardson is probably the most talented offensive weapon, but unless he breaks off a long scoring run, he is going to struggle to score in the red zone against LSU’s defense. Meanwhile, the running ability of Jefferson was able to give the Alabama defense a bit of trouble, and he is an extra weapon that is just tough to account for. Factor in Mathieu and the rest of the LSU defense and special teams, and there is a better chance that the Tigers will make a game-changing play. It will be tight, but the Tigers should pull out another close one. Stop by NSAwins.com daily throughout the NCAA Football season for daily Free College Football Picks and Vegas College Football Lines plus daily updated BCS National Championship Futures Odds. 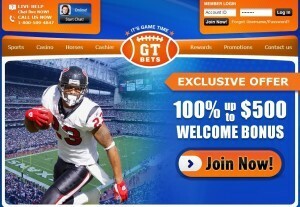 2 EASY STEPS to BET on 2012 NCAA College Football Bowl Odds Daily! STEP 2: Deposit with Credit Card or Deposit by Check and get an EXCLUSIVE “100% BONUS” upto $250 FREE added to your BoDog Player Account Funds. Free College Football Bowl Picks and Spreads: Arkansas St vs No Illinois 2012 GoDaddy.com Bowl Game Vegas Odds, Free Picks, and Expert Predictions on ESPN 1/8/12: The MAC and the Sun Belt conferences aren’t known for their powerhouse football programs, but Sunday night, two of the more entertaining teams in the country will go head to head when the Arkansas State Red Wolves (10-2) meet the Northern Illinois Huskies (10-3) in the GoDaddy.com Bowl. The Huskies needed several come-from-behind wins to ultimately win the MAC, including a second-half rally in the conference title game after falling behind 20-0. Meanwhile, the Red Wolves rolled through the Sun Belt, posting a perfect conference record and winning their final six games by double digits. Now, the tool schools will try to cap their impressive seasons with a bowl victory in a game where Arkansas State is favored by just 1 ½ points. Both teams bring dynamic offenses to the table. The Red Wolves average 32.5 points per game, while the Huskies have been even better, averaging 40.0 points per game. Although both offenses are somewhat balanced, Northern Illinois relies mainly on a rushing attack that ranks 10th in the country, while Arkansas State is powered by a passing attack that ranks inside the top 20. Although both offenses have been productive this year, the Huskies have been the more effective unit to date. While Northern Illinois has been better on offense, the Red Wolves have a definite advantage on the defensive side of the ball. Arkansas State ranks in the top 15 nationally, giving up less than 20 points a game. The Red Wolves have an excellent defensive front that has been effective at stopping the run and getting pressure on opposing quarterbacks. In contrast, the Huskies have been downright awful on defense at times, and for the year, they are allowing more than 31 points per game. At times, Northern Illinois won in spite of its defense. Serious tests await both defenses Sunday, with two of the best dual-threat quarterbacks under center for both teams. Northern Illinois’ Chandler Harnish threw for nearly 3,000 yards and 26 touchdowns and ran for more than 1,300 yards and another 11 scores. Those numbers are even more impressive considering he threw just five interceptions and averaged well over seven yards per carry. Meanwhile, Arkansas State’s Ryan Aplin threw more than 3,200 yards this season and also led the team with more than 600 rushing yards. He combined for 27 total touchdowns, and while he completed more than 65 percent of his passes, he did throw 13 interceptions. As the stat sheet indicates, Harnish is probably the more explosive of the two playmakers. The X-factor in the game could be Red Wolves’ receiver Dwayne Frampton. He has 90 catches for more than 1,100 yards on the season, and he top player at the position for either team. Against a Northern Illinois secondary that has been gashed at times, Frampton is the type of player that could take over the game. Aplin will likely look his way early and often, and if Frampton has a big game, Arkansas State could come away with the win. In the end, there is something to be said about the experience of Northern Illinois in the postseason. The Huskies will be playing in their fourth straight bowl game, while the Red Wolves are making just their second bowl appearance in program history. Not to mention the fact that the MAC has proven itself an underrated conference both in the regular season and in the bowl season. Led by the playmaking ability of Harnish, the Huskies’ offense should be able to score points, even against a highly-rated Arkansas State defense. Northern Illinois’ struggles on defense will keep the game close, but the Huskies have enough offensive firepower to pull out a win. Free College Football Bowl Picks and Spreads: SMU vs Pittsburgh 2012 Compass Bowl Game Vegas Odds, Free Picks, and Expert Predictions on ESPN 1/7/12: Not all the bowl games played after January 1 are considered among the most prestigious invites, and Saturday’s BBVA Compass Bowl isn’t exactly on the same level as the BCS bowls it is sandwiched between. That being said, the game still means plenty to the SMU Mustangs (7-5) and the Pittsburgh Panthers (6-6), who face off and try to end their seasons on a high note. The Panthers enter the matchup dealing with their second change at head coach in as many years, while SMU is dealing with major injuries. Both teams looking to overcome their own bit of adversity, Pittsburgh enters the game as a 3 ½-point favorite. On the stat sheet, neither team is overly impressive on offense. Both teams are scoring just less than 26 points per game and are averaging between 350 and 400 yards of total offense. The Panthers lean more on the power running game, while the Mustangs spread out opponents and throw the ball more frequently. While both teams are about equal in terms of offensive production, it is worth noting that SMU struggled down the stretch. The Mustangs scored 17 points or less in four of their final six games, scoring seven points or less three times. For SMU, the drop in scoring was a direct result of an injury to running back Zach Line. When he went down, Line had amassed more than 1,200 yards and scored 17 touchdowns. Needless to say, his absence has left the Mustangs without a significant part of their offensive attack. If SMU is going to compete Saturday, backup Rishaad Wimbley will have step up. The freshman closed the year with a career game, topping 100 yards. He will need a repeat performance to help the Mustangs get by Pittsburgh. Ironically, the Panthers are without their top running back as well. Ray Graham was well on his way to being one of the top running backs in the country, but a knee injury sidelined him just shy of 1,000 yards. Pittsburgh has used a committee approach to replace Graham, but the Panthers simply don’t have another back that can wear down defenses as well. If Pittsburgh has an edge, it is the fact that the offense has had more time to adjust to the loss of Graham and have more experienced backups stepping into the role. Quarterback play could be the X-factor for both teams. Pittsburgh’s Tino Sunseri and SMU’s J.J. McDermott both struggled with turnovers this season. Sunseri threw just 10 touchdowns compared to 10 picks, and while McDermott threw 16 touchdowns, he also threw 16 interceptions. The Mustangs do have the top wide receiver in Saturday’s game in Darius Johnson, but locking in on Johnson has been part of the problem for McDermott. In the end, the game may be decided by the mistakes each QB does or doesn’t make, rather than by the big plays they can create in the passing game. While neither team is intimidating on paper, the Panthers’ dedication to the power running game should pay dividends. Pittsburgh has the better defense of the two teams, and with the ground game helping to keep the defense fresh by controlling the clock, the already inconsistent Mustangs’ offense could struggle to put up points. The game should be more about field position than big plays, and that style of play favors the Panthers. Free College Football Bowl Picks and Spreads: Kansas St vs Arkansas 2012 Cotton Bowl Game Vegas Odds, Free Picks, and Expert Predictions on FOX 1/6/12: The 2012 AT&T Cotton Bowl might as well be considered the unofficial sixth BCS bowl. After all, the two teams playing are arguably more impressive than half the teams playing in the elite bowls. The eighth-ranked Kansas State Wildcats (10-2) were passed over by the BCS bowls in favor of traditional powers like Michigan and Virginia Tech. Meanwhile, the sixth-ranked Arkansas Razorbacks (10-2) were not allowed to compete in a BCS bowl because of a rule preventing three times from the same conference from being chosen. Never mind the fact that the three of the four loses between the teams came to the top three teams in the country. While the two programs have every reason to be bitter, they will have to take their anger out on one another when they meet Friday night. The Razorbacks are sizeable eight-point favorites. Believe it or not, Arkansas actually finished third in its own division despite being ranked sixth in the entire nation. The Razorbacks finished third in the SEC West, with national title contenders LSU and Alabama finishing ahead of them. Coincidentally, the Razorbacks’ only losses on the season came to the Tigers and the Crimson Tide. Although an official record, Arkansas may have been the best third-place team in college football history. Kansas State can’t quite boast the same resume because of an ugly loss to preseason No.1 Oklahoma, but the Wildcats did come within one play of forcing overtime against the third-ranked Oklahoma State Cowboys in their other defeat. Both teams had two of the better offenses in the country this season. The Razorbacks ranked in the top 15, scoring 37.4 points per game. The Wildcats weren’t too far behind, ranking inside the top 30 with 33.1 per game. Although both teams scored plenty of points, their offensive styles were night and day. The Razorbacks spread the field and utilize the short and intermediate passing game. Meanwhile, Kansas State is a run-first team that features everything from option sets to power formations. Although different, both systems rely heavily on the quarterback position for success. Arkansas’ Tyler Wilson was the model of efficiency, throwing for nearly 3,500 yards and completing 63 percent of his passes. He enters Friday’s matchup with 22 touchdowns compared to just six interceptions. Star receiver Jarius Wright is his top target, and he 11 touchdowns and more than 1,000 yards entering the bowl game. When Wilson is making quick decisions with the ball, the Razorbacks’ fast-paced attack is tough to defend. Kansas State’s Collin Klein can’t come close to matching Wilson’s numbers through the air, but Klein is one of the top dual-threat QBs in the country. In addition to his 12 touchdown passes, Klein has an incredible 26 rushing scores to go along with 1,099 yards on the ground. When the Wildcats get in the red zone, Klein’s power makes him almost impossible to keep out of the end zone. The X-factor in the game is likely going to be the Kansas State defense. The unit gave up almost 28 points per game on the year and was even worse against the top offenses in the Big 12. The Wildcats gave up 50 or more points three times in its final six games, including in the team’s two losses on the year. The Razorbacks’ offense is certainly capable of putting up points, and more importantly, their defense is giving up less than 23 points per game. While the Wildcats deserve a lot of credit for finding ways to grind out wins in a variety of ways this season, the fact is that they couldn’t slow down opponents with high-powered passing attacks. Wilson and the Razorbacks are a matchup nightmare for Kansas State’s suspect defense, and while Klein and company can put points on the board as well, they aren’t at their best when they have to win in an offensive shootout. The Wildcats power running game won’t be enough to overcome the Arkansas scoring machine. Free College Football Bowl Picks and Spreads: West Virginia vs Clemson 2012 Sugar Bowl Game Vegas Odds, Free Picks, and Expert Predictions on ESPN 1/4/12: The 23rd-ranked West Virginia Mountaineers (9-3) and 15th-ranked Clemson Tigers (10-3) can both thank their conference affiliation for their spots in the Discover Orange Bowl Wednesday night. With three losses each, neither team would have sniffed a BCS bowl. However, the Mountaineers won a multi-team tie breaker to capture the Big East crown, while the Tigers recovered from a late season slide to win the ACC Championship. The conferences are arguably the two weakest of the automatic qualifiers, but it’s tough to penalize either program for beating the teams they were supposed to. In a battle of high-powered offenses, the Tigers are three-point favorites. On the stat sheet, the Tigers and Mountaineers are eerily similar. Both rank inside the top 25 in terms of points scored on offense, with West Virginia averaging 34.9 points and Clemson averaging 33.6. Both offenses are pass-heavy as well, averaging more than 300 yards a game to rank inside the top 20. The Mountaineers have slight edge, ranking inside the top 10 in terms of passing yards, but the Tigers have more balance to their offense. Defensively, the teams are mirror images. West Virginia is allowing 26.3 points per game and Clemson allowing 26.2. Not surprisingly, both teams have reliable quarterbacks leading their offenses and have plenty of firepower in the passing game. Clemson’s Tajh Boyd has more than 3,500 passing yards this season to go along with 31 touchdowns. Freshman receiver Sammy Watkins has done a lot of the damage, topping 1,100 yards and catching 11 touchdowns. Fellow receiver DeAndre Hopkins topped 800 yards as well, and tight end Dwayne Allen caught eight touchdowns. Western Virginia counters with Geno Smith, who is just shy of 4,000 yards passing this season. He has 25 touchdowns compared to just seven interceptions, and he has completed 65 percent of his passes. Smith has a dynamic duo at receiver, with Stedman Bailey and Tavon Austin both going over 1,000 yards. Bailey is the deep threat, averaging almost 18 yards per catch and grabbing 11 touchdowns this season. Meanwhile, Austin is excellent at going over the middle and moving the chains. Although both passing attacks are loaded with weapons and likely to do plenty of damage, the X-factor in the game could be Clemson running back Andre Ellington. He has more than 1,000 yards rushing this year and has scored 10 times. While the Mountaineers have struggled to find a ground game all season, Ellington gives the Tigers’ offense an element of balance. He should be able to help the Tigers control the tempo as well as keep the West Virginia defense from keying in on Boyd and the passing game. At the end of the day, this game has all the making of a shootout. Both offenses are blessed with some of the fastest receivers in the country, and Boyd and Smith will look to push the ball deep down the field early and often. The problem for West Virginia is that the lack of a running leads to some lulls on offense when the passing game isn’t clicking. Clemson has the balance on offense to put steady pressure on the Mountaineers’ defense, and when Watkins has been fully healthy this year, the Tigers haven’t lost a game. It should be a high-scoring game, and Clemson has the firepower to outscore West Virginia. Free College Football Bowl Picks and Spreads: Michigan vs Virginia Tech 2012 Sugar Bowl Game Vegas Odds, Free Picks, and Expert Predictions on ESPN 1/3/12: For the BCS critics, Tuesday’s Allstate Sugar Bowl will only add more fuel to the fire. The 13th-ranked Michigan Wolverines (10-2) will meet the 11th-ranked Virginia Tech Hokies (11-2), and both teams can thank the rule book and there tradition-rich programs. After all, South Carolina and Arkansas are both ranked higher, but BCS rules prohibit three teams from the same conference being selected. Boise State and Kansas State are ranked higher as well, but neither school has the fan base to attract as many fans as Michigan and Virginia Tech. Worthy or not, the Wolverines and Hokies will meet, with the Wolverines giving three points. On the field, the game could turn into a battle of stars. Michigan quarterback Denard Robinson has carried the Wolverines’ offense all season, while Virginia Tech running back David Wilson has played the same role for the Hokies. Both players are capable of controlling and winning the game for their team, but given the fact that Robinson has the ball in his hands on almost every snap, he will have the better opportunity. After a breakout season in 2010-11 when he led the Big Ten in rushing, Robinson continued to excel this year despite changing offensive systems with new coach Brady Hoke. He threw for more than 2,000 yards and 18 touchdowns, and he added 16 more scores on the ground to go along with nearly 1,200 yards. Robinson’s ability to make explosive plays outside of the pocket sets him apart from most other QBs in the country, and he could terrorize the Hokies with his versatility. Wilson doesn’t attack defenses in the same way as Robinson, but he did lead the ACC in rushing with more than 1,600 yards. He also averaged more than six yards per carry, and he has a combination of power and speed that allows him to pound defenses between the tackles and stretch them on the outside. If Wilson finds a rhythm early, Virginia Tech could control the tempo from start to finish. Defensively, both teams had plenty of success this season but will be challenged Tuesday. The Hokies are always among the tougher units in the country, but with a player like Robinson, even a small mistake can turn into a long touchdown. The Wolverines actually enjoyed their best season on defense in several years, but the unit struggled in big games, giving up more than 30 points against Notre Dame and Ohio State. Virginia Tech doesn’t exactly have an explosive offense, but neither did the Buckeyes. The X-factor in the game could be Hokies’ quarterback Logan Thomas. In his first year as starter, Thomas threw 19 touchdowns, but he completed less than 60 percent of his passes. On the plus side, he made major improvements as the season progressed, throwing seven touchdowns and no interceptions during the final three regular season games, while running for four scores. Thomas is coming off a two-interception performance in a loss to Clemson in the ACC Championship, but he is definitely a better player than he was at the start of the year. If he avoids turnovers and can make enough plays to keep the Michigan defense honest, Wilson and the ground game should take care of the rest. In the end, the Hokies could be a bit overwhelmed on both sides of the football by the Wolverines. Virginia Tech’s only elite opponent this year was the Clemson Tigers, and in the two meetings between the teams, the Hokies were outscored 61-13. With Robinson’s playmaking ability, the Wolverines should be able to pile up some points as well. An improving but still questionable Michigan defense will likely give up some points of its own, but Robinson and company are simply the more dangerous offense. Free College Football Bowl Picks and Spreads: Stanford vs Oklahoma St 2012 Fiesta Bowl Game Vegas Odds, Free Picks, and Expert Predictions on ESPN 1/2/12: Other than the BCS Championship Game, Monday’s Tostitos Fiesta Bowl may just be the best game of the entire bowl season. Two teams that could make a strong case for taking on the top-ranked LSU Tigers for the national title will go head to head when the fourth-ranked Stanford Cardinal (11-1) meet the third-ranked Oklahoma State Cowboys (11-1). For the second year in a row, a loss to Oregon was the only thing standing between Stanford and a national title shot. Meanwhile, a double-overtime loss to unranked Iowa State derailed the Cowboys late in the year. Despite missing out on the ultimate prize, both teams have one final chance to make a statement and prove that they deserved to be playing the Tigers. Oklahoma State is a four-point favorite entering the matchup. Dominating offenses have been the calling cards for both teams. The Cowboys rank second in the country, scoring 49.3 points per game, and the Cardinal rank seventh, averaging 43.6. Oklahoma State uses a spread passing attack that helped the Cowboys rank second in passing yards per game and third in total yards. Meanwhile, Stanford uses a more conventional offense that ranked inside the top 30 in both rushing and passing yards. On game day, the balance of the Cardinal offense will go up against the explosiveness of the Cowboys’ attack. At the center of both offenses are two excellent quarterbacks. By now, everyone has heard of Stanford starter Andrew Luck, who is well on his way to becoming the top pick in the NFL draft. He has 35 touchdowns on the year, while completing 70 percent of his passes. His counterpart Brandon Weeden has thrown for more than 4,300 yards for Oklahoma State, along with 34 touchdowns. Both signal callers are adept at running their particular offenses, and while Weeden will look to stretch the field, Luck will be focused more on methodically moving the chains. Although Luck is considered the better pro prospect, Weeden will have something Luck doesn’t in Monday’s matchup. Oklahoma State star receiver Justin Blackmon gives Weeden a weapon in the passing game that Stanford can’t match. Blackmon has 113 catches, 1,336 yards and 15 scores this year, and he will join Luck in the first round of next year’s draft. In the meantime, Blackmon should give the Stanford secondary fits with his speed and athleticism. Ironically, the defenses for both sides aren’t really built to defend the other team’s offense. Stanford’s stingy but conservative unit could struggle against the up-tempo offense of the Cowboys. Meanwhile, the strength of the Oklahoma State defense has been forcing turnovers, but those could be tough to come with Luck throwing the ball. The end result could be plenty of points on the scoreboard for both teams. With both quarterbacks highlighting their teams, the X-factor in the game could turn out to be the running game. The Cardinal averages more than 200 yards per game on the ground, and if Stanford can establish its power running game, controlling the clock and limiting the Cowboys’ offensive opportunities becomes possible. For Oklahoma State, the duo of Joseph Randall and Jeremy Smith provide an explosive wrinkle to the pass-heavy offense. With the Weeden spreading out defenses with the passing game, the two-headed monster has combined for 32 rushing scores this year. If the Cowboys ground game starts piling up points as well, Luck and company could struggle to keep up. In a game that should feature plenty of points from both sides, the Cowboys’ ability to score quickly should come in handy. Stanford struggled to keep up with the speed of the Oregon offense in the Cardinal’s only loss, and the Cowboys force the issue on offense in a similar fashion. Luck and company has been able to wear down most opponents with their size and power, but the relentless offense of Oklahoma State just doesn’t slow down. Luck will get his numbers and make the game interesting, but the Cowboys have too much firepower for the Cardinal to handle. Free College Football Bowl Picks and Spreads: Wisconsin vs Oregon 2012 Rose Bowl Game Vegas Odds, Free Picks, and Expert Predictions on ESPN 1/2/12: The Rose Bowl needs no introduction. It is synonymous with college football greatness, and on Monday, the latest installment of the historic game will feature two of the best offenses in the country. The 10th-ranked Wisconsin Badgers (11-2) return to the Rose Bowl for the second year in a row, looking to avenge last year’s 21-19 loss to TCU. They will meet the fifth-ranked Oregon Ducks (11-2), who are playing in their third straight BCS game but are still searching for a win after falling to Ohio State in the 2010 Rose Bowl and Auburn in last year’s BCS title game. Both sides have plenty of star power, and the Ducks enter the matchup as six-point favorites. It is impossible to analyze either team without focusing on the prolific offenses. The Ducks ranked third in the country in scoring, averaging 46.2 a game. The Badgers weren’t far behind, ranking fifth in the nation with 44.6 points a game. In addition, both sides ranked in the top 10 in terms of rushing yards and in the top 15 in total yardage. Despite the similar results, the offenses are actually nothing alike. Wisconsin uses a tradition pro-style offense, taking advantage of its massive offensive line to wear down opponents with long, sustained drivers. Meanwhile, Oregon uses a spread-option attack that takes advantage of the team’s speed to score quickly on big plays. It’s tough to argue with either system, considering the impressive results. At the center of each offense is a very talented running back. Oregon’s LaMichael James has more than 1,600 yards this season, scoring 18 total touchdowns and averaging more than seven yards per carry. Considering he missed almost three full games with a dislocated elbow, those numbers are even more impressive. Wisconsin’s Montee Ball knows all about impressive numbers. He led the nation with 1,759 rushing yards, and his 38 total touchdowns have him within four scores of tying Barry Sanders’ single-season record. The Heisman finalist has barreled through opposing defenses all season to the tune of 6.4 yards per carry. While the star running backs will likely do some serious damage Monday, it may be the quarterbacks for either side that decide the outcome. Oregon’s Darron Thomas and Wisconsin’s Russell Wilson both had impressive seasons that went under the radar. Thomas threw 30 touchdowns compared to just six interceptions and added three scores on the ground. Wilson was even better, throwing 31 touchdowns compared to just three picks, while completing more than 72 percent of his passes. Balance has been crucial to the success of both offenses all year, and with both defenses focusing on stopping the run, the QB that makes the most plays in the passing game could tip the scale in favor of their team. The Ducks could end of having to two biggest X-factors in the matchup. Running back Kenjon Barner and receiver De’Anthony Thomas are both explosive playmakers. Barner ran for almost 1,000 yards and had 11 touchdowns as James’ primary backup. Meanwhile, Thomas piled up 14 scores, doing damage on the ground, in the passing game and on special teams. In a game that could turn into a back and forth shootout, a big play by an unexpected player could be the difference. There should be no shortage of excitement when these two teams take the field Monday. The Ducks’ offense will likely be too fast for Wisconsin to handle, but the Badgers’ offense will probably be too powerful for Oregon too slow down. The Badgers also have an edge in the quarterback department, with Wilson being the more polished of the two QBs in this matchup. That being said, the Ducks’ offense has a little more firepower and should be able to make one more big play. Oregon has the playmakers to pull out a win, but Wisconsin should keep things close. Free College Football Bowl Picks and Spreads: Ohio St vs Florida 2012 Gator Bowl Vegas Odds, Free Picks, and Expert Predictions on ESPN 1/2/12: There are bowl matchups that produce juicy storylines, and then there is the TaxSlayer.com Gator Bowl. On the field, the game features an Ohio State team and a Florida team having down years, and both sides enter the game with identical 6-6 records. Off the field, the Buckeyes are celebrating the signing of former Gators’ coach Urban Meyer. Ohio State is also dealing with NCAA sanctions for violations that took place under former coach Jim Tressell, while Florida fans are left to wonder why Meyer needed to spend more time with his family and leave the Gators but was willing to sign with the Buckeyes a year later. Needless to say, a rivalry has been created between two programs that otherwise have little history with each other. The Gators enter the matchup as two-point favorites. Despite the intrigue surrounding the game, the action on the field could leave a lot to be desired. Both teams rank outside the top 100 in terms of offensive yards per game, and both teams average less than 26 points. Ohio State does boast the country’s 27th-best rushing attack, but for the most part, both sides have relied heavily on their defenses to compensate for their lackluster offenses. Not surprisingly, neither side brings a lot of momentum into the bowl game. Ohio State closed the year on a three-game losing streak and saw its seven-game winning streak against rival Michigan come to an end. Meanwhile, the Gators lost six of their last eight games and didn’t beat a single ranked opponent all season. During the final eight games, Florida scored 12 points or less on five occasions. When either side is able to score, it will likely come via the ground game. Florida running backs Chris Rainey and Jeff Demps formed a formidable duo, combining for more than 1,300 yards. Both players averaged more than five yards per carry, but in addition to struggling against the tougher SEC defense, they scored only eight touchdowns. Without a passing game to fall back on, teams were able to stack the line of scrimmage, especially in the red zone. Meanwhile, the Buckeyes leading rusher turned out to be freshman quarterback Braxton Miller. He was thrust into the starting lineup after Terrelle Pryor left for the NFL, but he finished the year with more than 600 yards and seven touchdowns. Feature back Dan Herron missed the early part of the year due to suspension, but he looked strong upon returning and will be in the lineup Monday. The Buckeyes probably have a slight edge in the ground game because of a more experienced offensive line and the versatility of Miller. The X-factor in the game could be Ohio State receiver DeVier Posey. He missed most of the year while serving a suspension for multiple issues, but he will play in Monday’s bowl game. Posey is one of the most talented receivers in the Big Ten and the best deep threat Ohio State has. He should serve as a nice security blanket for the inexperienced Miller, giving an added dimension to the Buckeyes’ run-heavy attack. While suspensions and distractions have hurt Ohio State throughout the year, the bowl game is a chance to start fresh. He Buckeyes know what penalties they will face from the NCAA, and they know who will be coaching them next season and beyond. The peace of mind should only help a team that still has a stingy defense and can run the football with a variety of weapons. The Gators’ speed could give Ohio State some issues, but Florida just doesn’t have the offensive weapons it needs to pull this one out.